What is a tech startup? A tech startup is a company whose purpose is to bring technology products or services to market. These companies deliver new technology products or services or deliver existing technology products or services in new ways. The question of how to ensure the success of a start-up company is one that we deal with daily in the tech world, and it is that knowledge that we try to glean from founders’ stories. Although the story behind every company is unique, the businesses that make it by reaching goal milestones such as landing a big customer or becoming profitable all tend to have taken some similar crucial steps. It’s easy to get caught up in the excitement of launching a successful startup with the possibility of it becoming the next Google or Facebook. 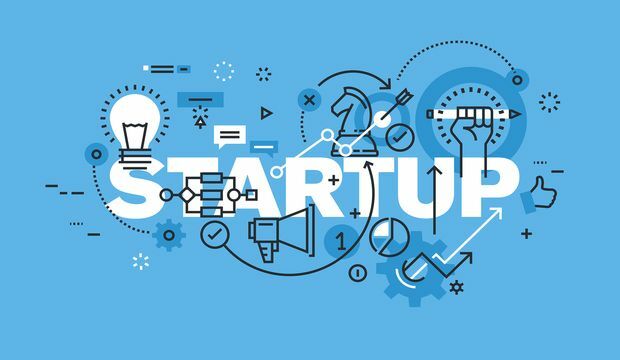 However, because of the proliferation of overnight success stories, too many founders dive into entrepreneurship without a plan, this article will teach you how to setup your very own tech company. Online advertising is another high tech area of online marketing. You can create your own platform where you connect businesses looking to advertise online with website owners who want to earn ad revenue. You can also focus more generally on online marketing for business clients, helping them with everything from advertising to content marketing. You can also use your tech savvy, along with design skills, to design and develop websites for businesses and other clients. Mobile apps are also becoming increasingly important for businesses. You can work with clients who want to have their own apps on a freelance basis. To help other entrepreneurs make a living online, you can create a platform where sellers can upload products to list for sales. If you’re interested in writing about technology, you can start your own blog about the subject and make money through ads or sponsored content. If you want to provide general tech advice to business clients, you could start a consulting business where you help them make decisions about new device purchases and software implementation. You could also build a chatbot that uses AI to communicate with people and then offer it to business clients. There are plenty of other potential uses for AI that you can explore as a tech savvy entrepreneur. You could invent a voice activated device or app that uses the technology to answer questions or perform other tasks. You could also provide an essential service to website owners or app developers by testing their features to make sure they’re offering a good user experience. Tactics dictate strategy. Whether it’s product, sales, hiring, where to make headquarters, etc. — too many times, companies are held back by continually seeking better information. Companies should always gather the best information they can, but they need to value execution more than perfect information. After companies begin to start and execute, it’s important to allow for fast failures. With failure comes the opportunity to make changes, and then (hopefully) win. In my experience, it’s been very difficult to succeed in the cloud ecosystem when a company’s culture doesn’t recognize quick failure as its path to its eventual success. If you are dreaming about starting your own company, but you don’t know exactly what it is you want to do or if it’s even the right time, use your time to study. Starting a fast-growing tech business is incredibly challenging, and requires a variety of skills. The time you take to study allows you to explore your talents and find the one thing you really excel at.If you have a passion for design, programming or business — try to become incredibly skilled in one of those. The skillset of a founder often defines the focus and the culture of a company. Success is not dependent on your university degree. Still, if you choose your university wisely, you’ll gain much more than just factual knowledge. By attending the best university in the field of your talent you’ll have the opportunity to meet like minded people and build a great network amongst many other benefits. Now that you’ve studied hard and really gotten deep into a particular discipline, it’s time to broaden your skill set. While it’s critical to become deeply skilled in one area of the business, the required skill-set to start and run a company is much more varied. Starting a tech business requires a strong sense for products, timing, trends and markets, which you can only acquire through experience.In order to be successful in life, it helps to understand the basics of successful leaders and successful companies. As a founder, you will focus on finding the right idea and building your product. Defining company culture will be equally important for you. By working at different companies with varying missions and ways of doing things, you will learn what kind of company that you want to build.You will also know what skills you’ll need among your co-founders and first employees. Spending time with ambitious and like minded people shaped my own path. Most of my friends are developers, designers, entrepreneurs, and work for different kinds of startups. If you start an international tech business, you’ll be competing with intelligent, ambitious, and highly skilled people not just in Nigeria but from all around the globe. It’s a huge challenge and having a great community of entrepreneurs, developers and designers for support is key. Besides connecting with founders, I would also recommend you identify potential mentors. These can be entrepreneurs who you think are doing a phenomenal job in building great companies. The location of the business plays a big role in the success of the startup as closeness to working resources and target audience increase chances of business growth. When you build your own business, try to understand what the trends currently are, and build a story around it. As an entrepreneur you start a company with long-term goals. You want to create something that stays and adds value to people’s lives, both your customers and your employees. Do your homework before you start with your idea, understand how big your market is, understand in which countries you can grow the fastest. Build a brand and a product that works globally, not just in Nigeria. Starting a company isn’t easy. However, there is a way to help manage risks and to deal better with day-to-day challenges — and that is by having great co-founders. Having the right co-founders is incredibly important. It’s hard to find them, because you will only know you’ve made the right choice, after you start or complete your adventure together. The road from being a founder, to becoming a CEO or a manager is a very long and bumpy one. Most good founders somehow are crazy, in a good way. They often have ridiculous work ethics, are naive, and ignore what others say.They are often simply not the ideal person to work with. It rarely ends good if those founder attributes meet the pressure of a young company trying to survive. Mentors are a great way of widening your horizon when you start a business, and I believe every founder should have one or more. Mentors are focused on helping you to grow as an individual and a leader. Mentors invest time in understanding your business and challanges and more importantly, in you. Especially as a young or first time founder it’s incredibly helpful to get mentorship from experienced entrepreneurs. Investors are often wealthy individuals or organizations who invest in your business, with the clear goal to have a great financial return. At the early-stage, investors are also often your mentors, but it can be hard to connect with investors as much as you can connect with individuals who respect you and are simply interested in your personal success. Advisors, they help you to understand networks, markets and try to advise you to make the right decisions. You can have advisors for every part of your business. Identifying changes in a market, and knowing when the time has come for a strategy shift becomes critical for any kind of tech business. Many startups fail because the technology stack doesn’t fit the requirements of the market, or because the key platform changed completely. Being in a constantly changing environment like the tech industry makes it really difficult to forecast trends and developments, and requires a massive focus on flexibility. The technology sector is one that moves at an incredible pace and can swerve off course due to a number of reasons. While industry movements can affect the growth of your startup, the biggest contributing element for failures is communicating and delivering a service to the wrong demographic. Communicating and delivering a service that the local market wants or needs seems like obvious advice, but surprisingly, it is the downfall of many local startups. Not only do technology products need to be easy to use, but they should also integrate into local services and cultures. Every company needs capital.Securing funding can be achieved in a number of ways, from seed funding (financially backing your idea) or via the venture capital boosts (financial backing to advance the development of the company). These are the people you know, connections you make, retailers and systems you can plug into. A good product can be catapulted with the right networks. The Smarts. Access to people with insight, and the bag of experience that comes with it. The smart, talented people, the software, the expertise, and the systems belonging to a company. Plant, land, machinery, equipment, rental space. Your reputation: A good reputation gives a degree of credibility that a no-name startup might not have. Credibility can give a lot of momentum to a business. The desire to move forward. The ability and the guts to say yes and get things done. The most important. The marching power that makes the other fives types of capital work in harmony. Without Instigation Capital, a good idea can sit in the confines of a paper business plan and never emerge. Money in the bank that can be put to work on a project or investment. The money itself that can be put into a project. You will need a long-term vision for how your company will run 3-5 years to come. Ensure you start by doing exactly what you hope to achieve, then specify your goals also be ready to make changes when needed to get the desired outcomes. In order to get this right, you would need to have the right advising and operating team. Possibly, former operators in that field that share the same views as you. Yes, you need to have plans to ensure your startup gets returns. While you will need to plan your seed funding to get you through your first few years, you also need to have plans in place for your company to be profitable. Investors won’t definitely be interested in your startup if they see no way of getting returns on their investments. It’s one thing to have an idea, or a service but you still have to make sure you have plans for profits in the long run . Start by thinking about what significant problems you could solve and how. Many successful companies started out on a mission to solve real problems that affect millions of people and provide a solution through their products and services. At this point you have chosen the business idea you are going to turn into a business and tested it, now it is time to put together a business plan to outline in detail the objectives of your business and how you are planning to achieve them. It is easy to settle on one idea but to give yourself the best chance of coming up with a great idea it’s best to pick a few to explore and compare. I often hear a lot of negative stories and reasons why certain individuals haven’t started their own venture. To be honest, the most important trait you need to start your own tech-startup company is to have a positive attitude and to do your homework. There’s always positives on which you can capitalise in any market.